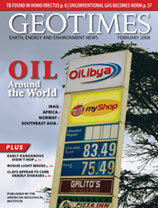 Geotimes examines the latest in oil exploration and production in the standard and not-so-standard oil-producing regions of Norway, Iraq, the South China Sea, India and Libya. Africa is relatively underexplored for hydrocarbons despite the continent’s rich natural endowments of oil and gas. But new developments are starting to bring these resources online. Unconventional natural gas already accounts for almost a third of the annual domestic natural gas production in the lower 48 states, and estimates suggest that portion is only going to grow as demand for gas grows and traditional sources peter out. Mica sheets: bed for early life? Do you drive less when gas is at $3 a gallon or more? When two mysterious clays appeared to cure disfiguring bacterial ulcers, geologists were called in to figure just how these clays worked, and to see if other clays could cure similar diseases. The United States leads Western nations in ignorance about evolution. One way to remedy this situation is for geologists to get more involved in writing and editing textbooks. Technology is great. But important life skills — such as spelling, doing math and now, giving directions — are being lost as computers, calculators and GPS devices take over. Beware: You may lose your sense of culture. 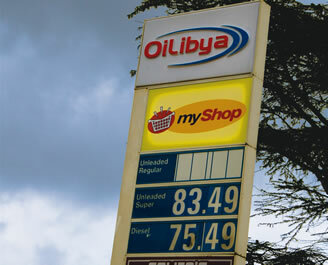 In 2004, Libya began making moves to allow Western energy companies back into the country, to get the struggling oil and gas industry back up and running. Read more in this issue. Photo is copyright Carrie Teicher.